Cars, Motorhomes and Commercial Vehicles are becoming ever more complex, as such it is vital to consider what type of electrical wiring system and sockets you want installed. Whether towing a large caravan, trailer box, another vehicle or used to support a bike carrier, you will need to fit an electrical socket and wiring kit. On older vehicles there is a choice between fitting a bypass (universal aftermarket wiring) and vehicle specific electrics. With new vehicles it is essential to fit a manufacturers approved wiring kit. This will ensure the computer systems and safety features are not compromised. Fitting a bypass or non-specific electrical system could compromise safety and could invalidate the warranty. 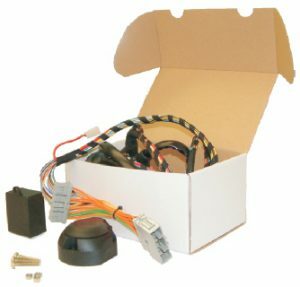 Dedicated wiring kits are the recommended option, more so for modern vehicles, cars, vans and motorhomes, with sophisticated computerised management control systems. 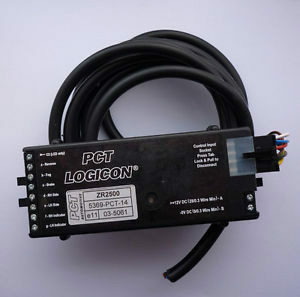 Electronic systems with the ability to recognise when a trailer or another vehicle is connected requiring an adjustment to the vehicles’ driving characteristics in terms of weight stability, cornering, braking and safety features. Features such as parking sensors can negatively impact on maneuverability and safety. In these situations, a dedicated wiring system will activate the onboard computer and, when towing, automatically deactivate the parking sensors. Our guide to choosing the correct socket should help you decide. But if you need further information and advice on best options, then please do not hesitate to contact us. 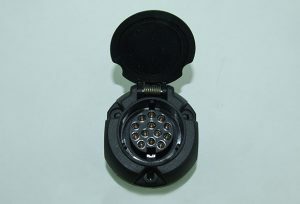 This type of socket controls all rear light functions apart from reverse and is used on most trailers and caravans pre-2008 (but you won’t be able to charge the battery or interior lights of the caravan). Commonly referred to as a twin electric socket with a 12S socket (grey cover) used in conjunction with the 12N socket when towing caravans, trailer tents, horse boxes and tipper trailers. 12S electrics has 12 volt permanent power and a switched 12 volt power supply and is used to charge a leisure accessory battery with the charge taken from the towing vehicle charging system via an automatic split charging relay. This will ensure that both vehicle and leisure battery remain fully charged and operational even at times of heavy use. The 12S socket also contains a power feed for the reversing lights on the caravan. This towing socket is the newest style of towing socket and replaces the 12N and 12S (Twin electrics). From September 2008 all newly manufactured caravans are fitted with 13 pin plugs that meet ISO11446 international and the U.K. B.S.I. standards. 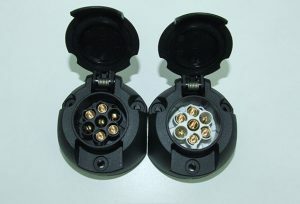 You can also have a 13-pin trailer socket (8-pin socket) which is set to replace the 12N socket. This has the added reverse light circuit but does not include a 12 volt circuit which is becoming more common on new type approved trailer. The 13-pin socket is waterproof as a twist lock connection is more suitable for detachable tow-bars that have a spring mounting single socket plate that can be folded up behind the bumper to make it invisible. Jacques Towbar Services offer two different towbar wiring options – the CANbus system, or Univeral Bypass relay. Below is our handy guide to help you choose the best option for your vehicle. For help or advice about any of our products or services, please contact us. If you know what you need and you would like a detailed and competitive quote, please use the quote form. We will get back to you speedily and without delay.